Catonsville is located within the humid subtropical climate zone, with hot, humid summers that can reach highs of up to 87°F, and cold winters that can be as low as 27°F. It’s low elevation and relatively close distance to the Chesapeake Bay gives the area more moderate spring and summer temperatures, as well as prevent more extreme conditions during the year and its seasons. But even though Catonsville is close to the Chesapeake Bay, the temperatures throughout the year still can take its toll on the integrity of HVAC units in the city. Supreme Air provides Air Conditioning, Heating and Plumbing Services, Repair, Installation, Maintenance, and Tune Up in Catonsville, MD and surrounding areas. Chris came early after calling for my approval. He was pleasant and competent. I needed a part fixed on my air conditioner which he did right away. No need to schedule another visit. I am very satisfied with Supreme Air and Chris. Thank you Margaret for letting us know what an efficient and excellent job Chris did for you. We know your time is valuable and we're so glad to hear Chris addressed all of your needs during his initial visit. Also, keep us in mind for any plumbing services you may need in the future. Our plumbers are pleasant too. Have a supreme day! Thank you very much for taking the time to write a review. We're looking forward to earning five stars in the future. Have a supreme day! The very congenial repairmen took some of the sting away from the cost of the repair itself. Thank you for the great review! We truly appreciate you taking the time to leave such a great review. We look forward to working with you in the future! Very nice technician- he was able to diagnose the problem quickly and had a replacement part to fix the problem. Hi james! Thank you very much for taking the time to share your positive experience with Supreme Air. We are thrilled to hear that you had a wonderful experience with us. Supreme Air is truly lucky to have Youssef on our team. We look forward to working with you in the future! this was the fall service. am part of the maintenance plan. Pricing for new parts was very good but even better was advice to shop for part on Amazon and the instruction of how to change the light bulb myself. Always advised of new options to install in case of an accident or flood. Thank you very much for the great review! We are pleased to hear you have had a very positive experience with Supreme Air. we look forward to working with you in the future. Thank you for being a Supreme member! 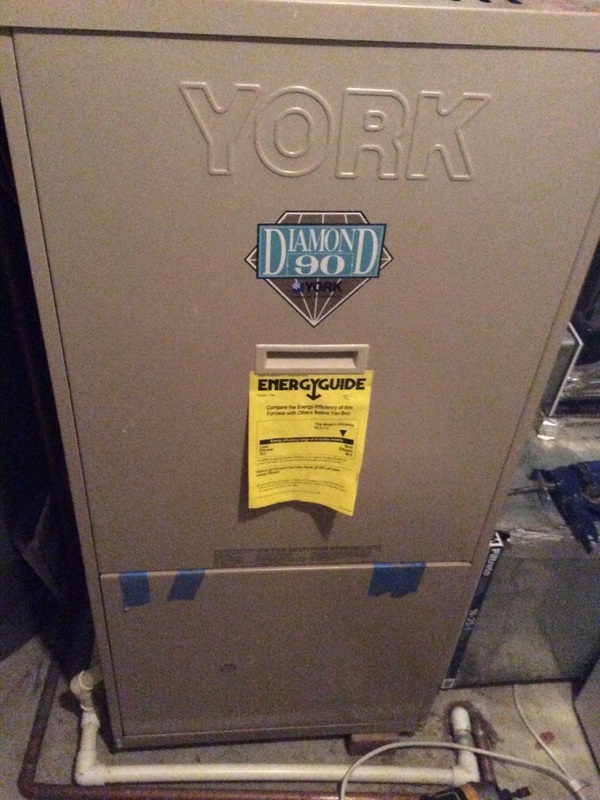 As always, the annual furnace check was very comprehensive and professional. Yonas, the technician, called to tell me he was on the way. In addition, his photo was emailed to me. Thank you very much for your kind words! I will be sure to pass this along to Yonas. Thank you for being a Supreme member! Upon arrival I was told kitchen unit not blowing cold air. During diagnostics I found bedroom unit freezing while kitchen unit not running, wires crossed. Confirmed that indoor units were crossed. Made repair and returned power to unit. Ran kitchen unit by itself and confirmed normal operation. Ran bedroom unit by itself and confirmed normal operation. Not sure how I missed this the other day, apologized to the customer. Units are operating normal at this time. Customer donâ€™t answer the phone I was stayed for 20 minutes in front of the house no one is here we need to reschedule the appointment. On arrival replaced voltage absorption system and contactor. Old wires were burned, rewired it with new wires and system is operating normal at this time. I replaced the filter with one provided by the customer. I cleaned the condensate drain pan and drain lines and ran hot water to flush the lines and to make sure it drained properly. I operated the unit on second stage cooling mode and recorded 20+ degree delta temperatures across the coil. I checked the electrical wiring and electrical systems, all were within specification, except I had to sand the terminals on the capacitor to get a reading and even then it was hard to obtain. I wired the components back to the capacitor and the outdoor fan motor would not operate. I replaced the voltage absorption system and put new wire terminals on the fan and compressor wires and tested the unit. Unit operating normal. The Air Knight 9 inch ballast is not sending voltage to the bulb. I quoted customer several options for replacement including the warranty parts credit. Customer never saw much benefit from having it and does not want to proceed with replacement at this time. On arrival checked thermostat was calling for cooling. Measured return and supply temperature, amps, voltage. Inspected electrical connections, contactor, voltage absorption system, replaced filter supplied by customer, tested condensate pump. Found the outdoor unit capacitor showing signs of failure, showed it to customer and she will like to replace capacitor and contactor. I need to come back tomorrow to replace it. I do not have parts in the truck. Needs to go to a supply house and pick up parts, schedule for tomorrow 10-window. I went on the roof to test the unit again. The blower motor did operate but it was over amping and running hot. If left to run long then it would cut off on internal overload safety device. I replaced the motor and made sure the new motor was spinning clockwise. I dressed all the wires and tested the unit for proper operation and proper amp draw. Unit operating normal. In case you have issues with your air conditioner in Catonsville, MD count on us to repair the problem! Our attested professionals are prepared to solve any HVAC situations at any time. Supreme Air, LLC has technicians ready to work on any heating units and air conditioning equipment from every brand in the market. Your HVAC system will be operating frequently during the seasons of the year. Making sure that our family is comfortable is a priority to all of us, so when that’s not possible we want it fixed – quick. Unfortunately, that kind of problem can happen during the night, but you can call us at any time to fix your air conditioning and heating needs as fast and professionally as you can hope for. When it comes to HVAC systems, it’s always better to avoid any issues beforehand. Not doing so can lead to your hard-earned money going into solving unexpected issues when it is too late to prevent them. Knowing how much it can be better for your pocket to have a prevention rather than an intervention, we offer annual tune-ups designed by our experts to diagnose issues before they become aggravated. Once you see the performance boost of your unit, you’ll be happy to have made the choice to do a tune-up. While also resting easy knowing that you won’t have to worry about unexpected problems. Little maintenance checks can become huge savings for you, and we stand by that. Heating and air conditioning equipment are susceptible to run into problems sooner or later – with time, that’s a fact. On the scenario that something does go wrong with your unit, you’ll want qualified people handling the matter, all the while paying a fair price. Sudden performance changes and atypical electric bills are a sign that there could be an issue. Whenever there’s something amiss, there are usually two options: repair or replacement. Our spectacular technicians can help you in every step of the way and guide your hand on what the best course of action is. Having the privilege of being invited to your home is something we don’t take for granted, and we honor that vow of trust by offering the best affordable and efficient HVAC service you can hope for. We care about our clients, we want to help them feel comfortable in their place of living, and we go about that with professionalism and honesty. The plumbing system is the veins and arteries of a home, so it’s important to make sure everything is functioning as it should. But in the event of something going wrong, you can count on the efficiency of the best plumbing contractor in Catonsville, MD: Supreme Air, LLC. We can fix every issue plumbing-related that you might need, we’re your allies when it comes to taking care of the structure of your house. Give us a call! No matter what happens to the plumbing system in your home, Supreme Air, LLC can come to your assistance any day of the week – 24/7. Regardless of what time it is, our emergency plumbing service can act with quickness and efficiency for you. Having to deal with a clogged pipe is something unavoidable as time goes by. With that said, when this happens to you you’ll want professionals handling it. Feel free to reach out to us to get the situation cleared as efficiently as possible! Cold seasons can really take a toll on the pipes of our household. It’s very normal for pipes to freeze when exposed to such conditions. If that’s your case don’t hesitate to call Supreme Air, LLC for help! It goes without saying that we need our toilets working properly in our home. That’s why when something goes south with them we need it fixed right away. If you don’t know what and how to do when that something happens, you can count on us to repair or install your broken or clogged toilet. Having a functional garbage disposal device can make things so much simpler when cooking. So when they suddenly stop working, we start to miss them right away. That’s your case? Feel free to call us right away if you want a repair or replacement of your garbage disposal. Floor drains can eventually clog, it’s normal. Sometimes though we might not be able to address the issue without professional help. In those cases, you can count on Supreme Air, LLC to handle your floor drain cleaning for you so you don’t have to worry about it. Things can get real nasty real quick when the sewage system in our home doesn’t work properly. If you by any chance get sewer line issues in your household, don’t hesitate to call us to schedule a repair and/or cleanout! With all the use our faucets and sinks go through, it’s only normal to every now and then some issue pop up. It can be a hassle to try to fix them on your own when you don’t know what you’re doing. In that case, consider giving us a call so we can come to your aid and kick things back into shape. When your basement floods, you’ll want your sump pump up and running at 100%. If it doesn’t, you could be in for thousands of dollars in water damage when things go wrong ( and trust us, with time, chances are it eventually will). Get in touch with us to schedule a sump pump replacement or repair, so you’ll be prepared for the worst. Sometimes we might have not the financial means to make the changes we want in our homes, but when it comes to the comfort of our family we’re poised to try to make things work. We over here at Supreme Air, LLC take great pride in being a company that our customers can count, even if they have a tight budget! Having to deal with an HVAC or plumbing problem can be really stressful. If you want it fixed fast and efficiently, it can be quite a challenge to pick a company that will actually deliver. We aren’t kidding when say that it is a certainty that as soon as we kick things off we’ll assist you in picking the most appropriate type of system and financing strategy. With time, wear and tear is something unavoidable with our HVAC equipment. The best option to deal with this is to make sure that everything is running smoothly before trouble ensues. When doing that you can rest easy that your precious unit will be better off than giving bad luck a chance to happen. When signing up you’ll hand the responsibility to us of making sure everything is running smoothly. If you’re looking for a contractor in Catonsville, MD that you can trust we over here at Supreme Air, LLC have your back. No more searching around just to end up with a contractor you don’t feel properly satisfy your needs. If you want the best possible service with affordable rates at Catonsville, MD you’ve found the best option: us! Make the best choice for your home by calling us today at (410) 788-1144 to schedule an appointment, consultation, or visit! Let’s get started on your air conditioning, heating, or plumbing project. Call Supreme Air, LLC or fill out our online form and one of our specialists will get back to you right away. We appreciate the opportunity to earn a 5-star review!